Released after Ghost in the Shell 2: Man-Machine Interface, Ghost in the Shell 1.5: Human-Error Processor takes place between the the first and second Ghost in the Shell series and represents Shirow’s first, aborted attempt to continue the Ghost in the Shell franchise in manga form. As a result, Ghost in the Shell 1.5 is an unfinished project. It’s essentially a short story collection depicting several different investigations undertaken by a post-Kusanagi Section 9. 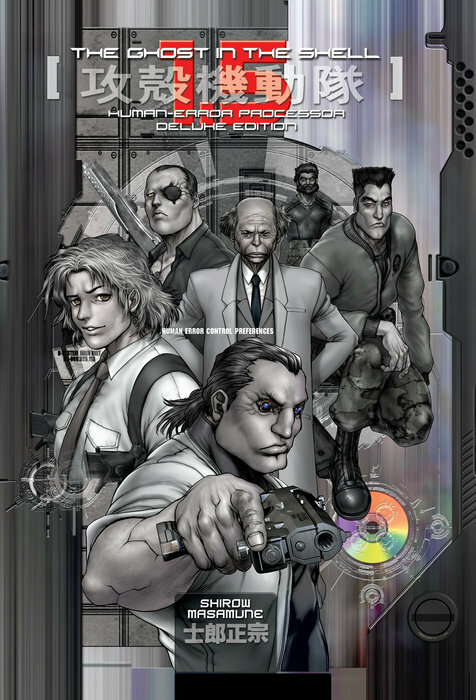 Togusa and Batou become the main two characters, with several of the other supporting cast being fleshed out a bit here and there over the course of the volume. While there are hints at tenuous links to Ghost in the Shell 2, this volume is mostly made up of unconnected stories. Maybe if it had continued a larger arc would have developed, but as it is the book feels like a short story compilation made up of different one off cases. Despite this, Ghost in the Shell 1.5 is a fun little read. 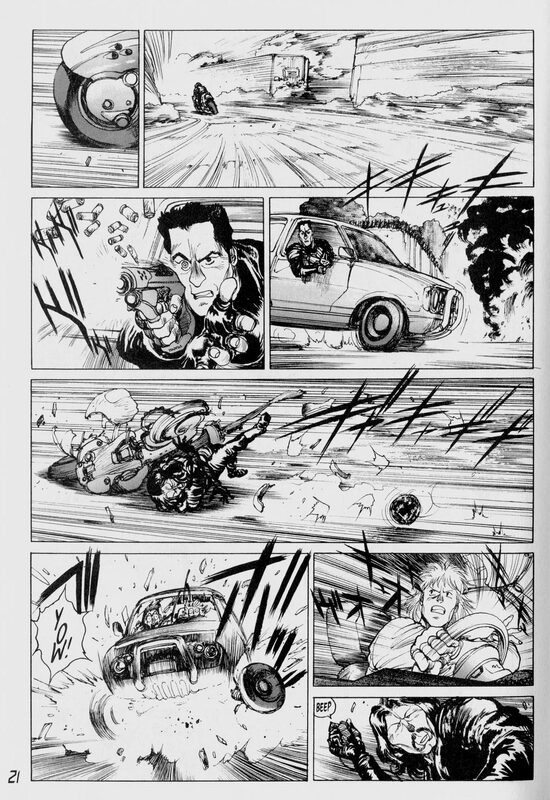 Without the Major as the main character, Shirow’s able to focus a bit more on the cases and push members of the supporting cast into the spotlight, for better or worse. As a result, it feels more like the Ghost in the Shell: Stand Alone Complex anime, and might be the most enjoyable and accessible for fans coming to the manga via that series. The artwork looks fantastic, Shirow’s does a first rate job with rendering a sci-fi world the feels fully lived in and realized. The backgrounds are dense and give the sense of a populated and bustling city. The amount of detail he crams into every panel is really astonishing at times, and his action sequences are crackling with energy, motion, impact and weight. While nothing in this volume reaches the heights of some of his crazier fight scenes, they’re still engaging and left me wishing he’d given us more in that area. The Deluxe Edition looks nice and Shirow’s artwork benefits from the larger format. The coloring seems a little bit better than that of the first GitS, but there’s still a vague murkiness to it in places, and the colors don’t seem quite as sharp as they did in earlier, glossy stock, editions. The extras feel a little skimpy, but there is some brief commentary from Shirow in the back matter on the different story arcs, along with a small farewell where he says he has no plans for future Ghost in the Shell stories. This isn’t exactly breaking news, but it’s still a bit of a shame to see in print. At least it ended by his choice rather than through the loss of work via a natural disaster like with the Appleseed franchise. While Ghost in the Shell 1.5: Human-Error Processor is a solid and enjoyable read, it does feel a bit like Shirow wasn’t sure what he wanted to do with the characters or where he wanted to take them. It’s a solid enough read, and dedicated fans of his or of the Ghost in the Shell franchise will probably want this to complete their collection, but I don’t think it’s one of his essential works. Ghost in the Shell 1.5 Human-Error Processor: Deluxe Edition is available now from Kodansha Comics. Review copy provided by the publisher.